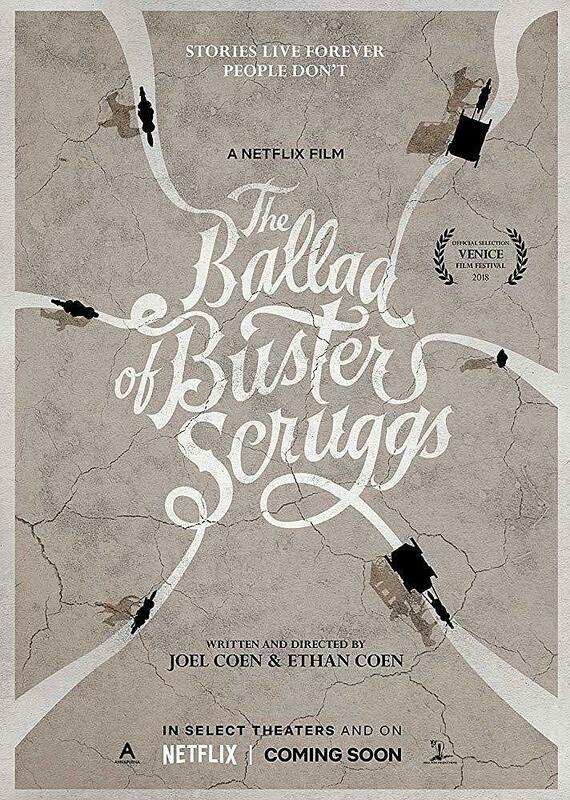 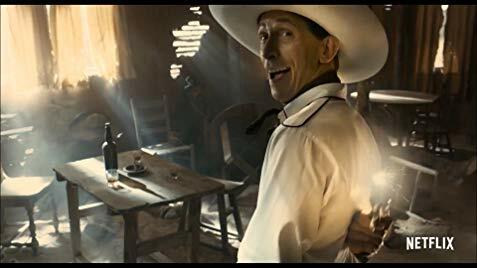 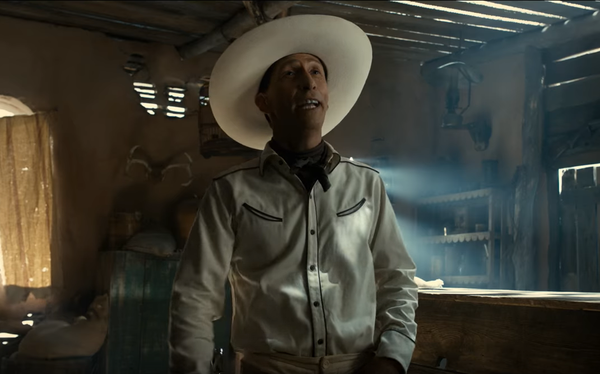 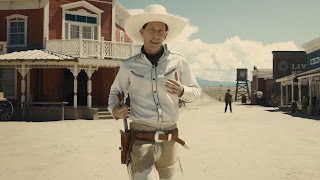 "...is a semi-autobiographical take on Cuarón's upbringing in Mexico City, including the life of a live-in housekeeper to a middle-class family..."
"The Ballad of Buster Scruggs" written, directed and produced by Joel Coen and Ethan Coen ("Blood Simple") as an anthology, follows a 'sharp-shooting songster', starring Tim Blake Nelson, Liam Neeson, Zoe Kazan, Tyne Daly and Tom Waits. 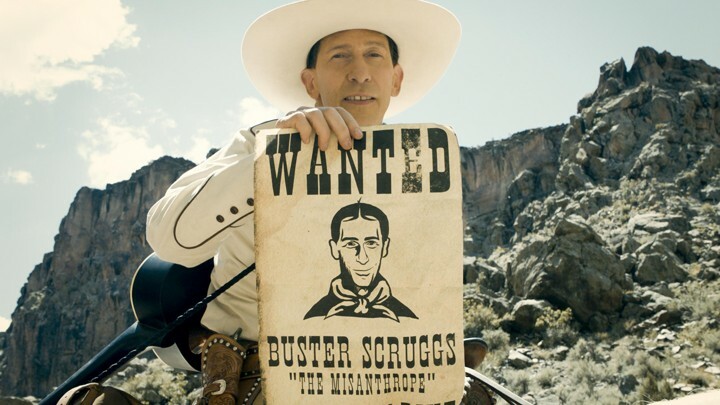 "...in 'Near Algodones', a wannabe' bank robber gets his due and then some. 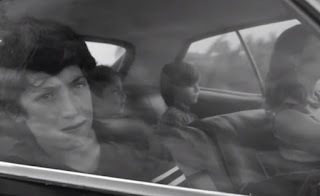 'Meal Ticket' is a gothic tale about two weary travelling performers. 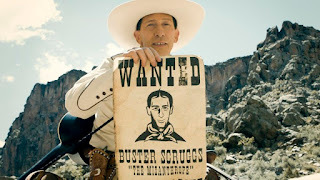 "'All Gold Canyon' is a story about a prospector mining for gold. 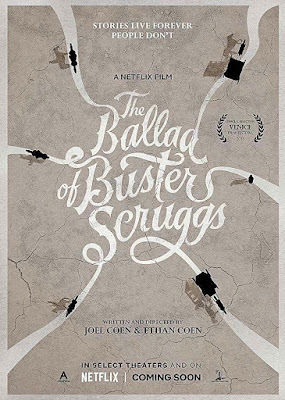 A woman finds an unexpected promise of love, along with a dose of life's cruel irony, on a wagon train across the prairies in 'The Gal Who Got Rattled'. 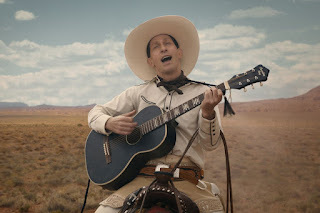 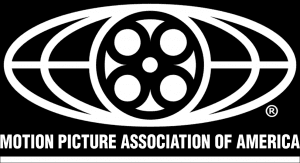 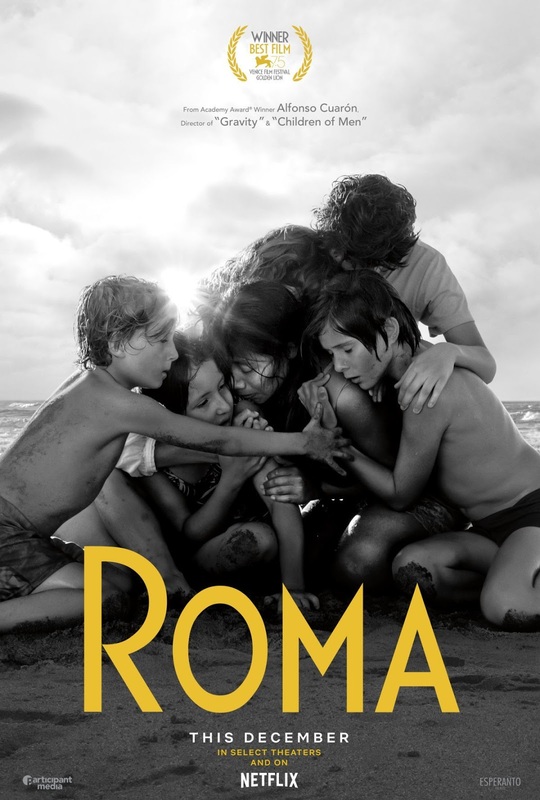 "Finally, ghostly laughs haunt 'The Mortal Remains' as a 'Lady' rains judgment upon a motley crew of strangers undertaking a final carriage ride..."
"Roma" and "The Ballad of Buster Scruggs" are currently streaming on Netflix.